Nice series of informative pictures/articles. 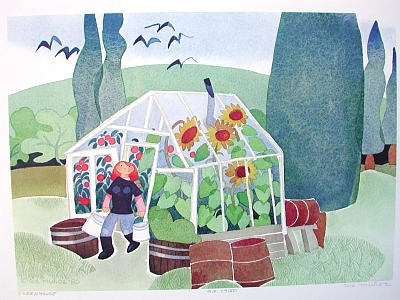 I like the juxtaposition of the art of Rie Munoz showing the greenhouse in Flat, Alaska with the photo below of the actual greenhouse that was her inspiration for the charming water color. 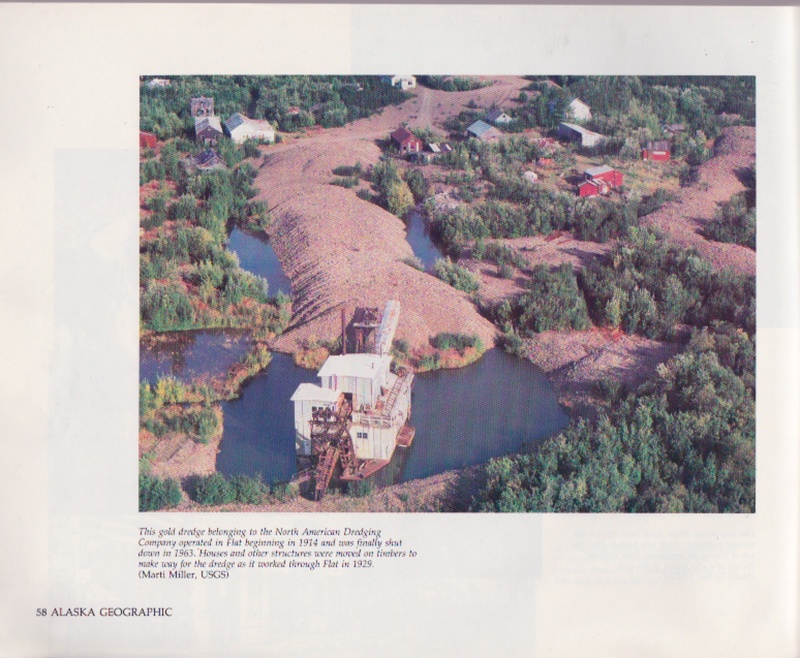 Also, the Alaska Geographic magazine is no longer in existence so it’s nice to see portions of it on the web. Flat, Alaska and the cabin pictured above are actually on the Iditarod trail, which was where gold miners went before the now famous dog sled race. 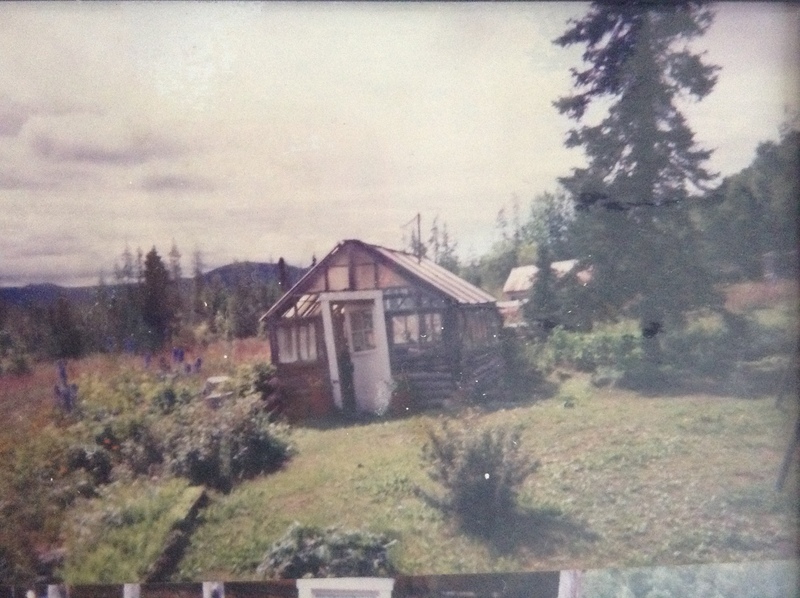 The man pictured in the cabin, Alvin Agoff, inherited the cabin and gold mines from his father, who was a Russian immigrant. 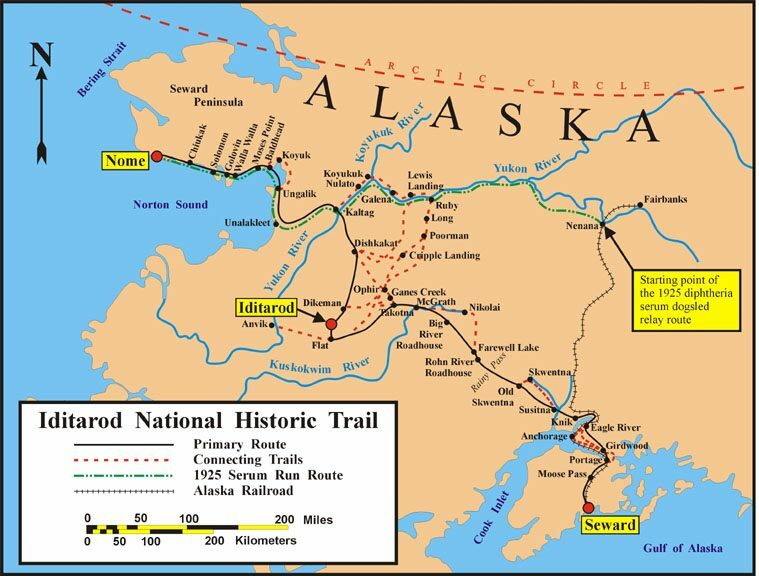 He walked out to Flat from Anchorage to stake his first claim. His gold mines were won by bare knuckle boxing, which was a fashion at the turn of the century. 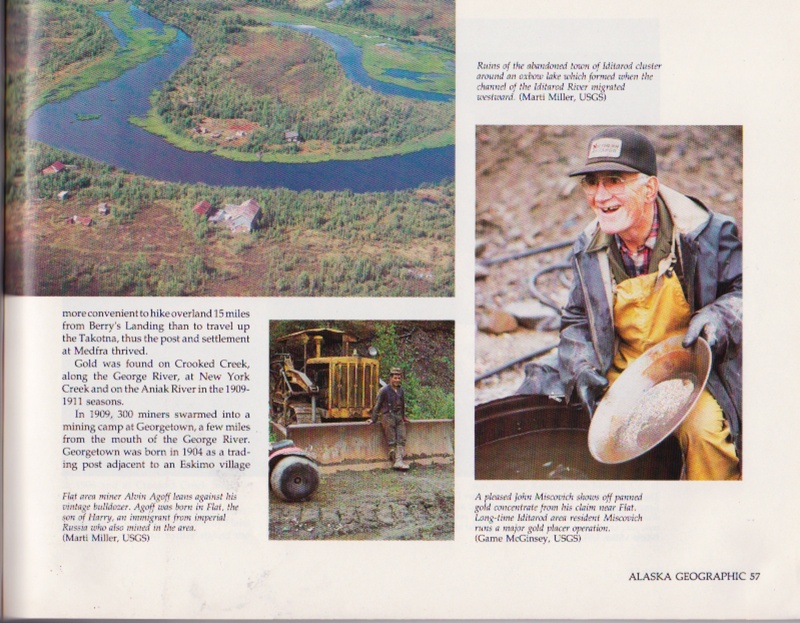 I got a chance to meet Alvin Agoff, a real Alaskan gold miner, a man’s man. He was rich in the lore of mining. One mining season, he came back with two coffee cans full of gold. Other seasons, which were summer, when the ground was not frozen, there was not enough to pay expenses. Some are wise in book learning. Others are wise in what they do. 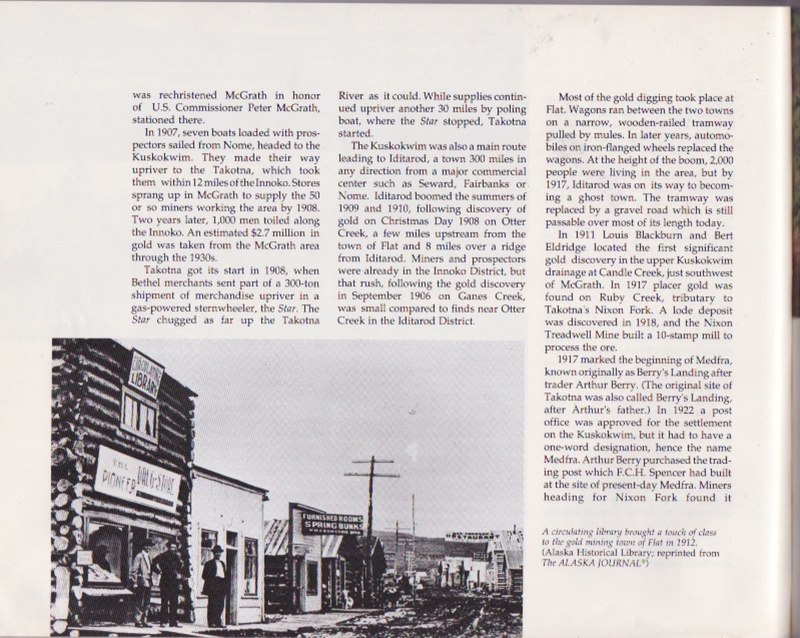 Mr. Agoff knew all there was to know about mining gold in Alaska from his many years of experience. He was a natural born mechanic, borne out of necessity from having to fix engines far from civilization. P.S. 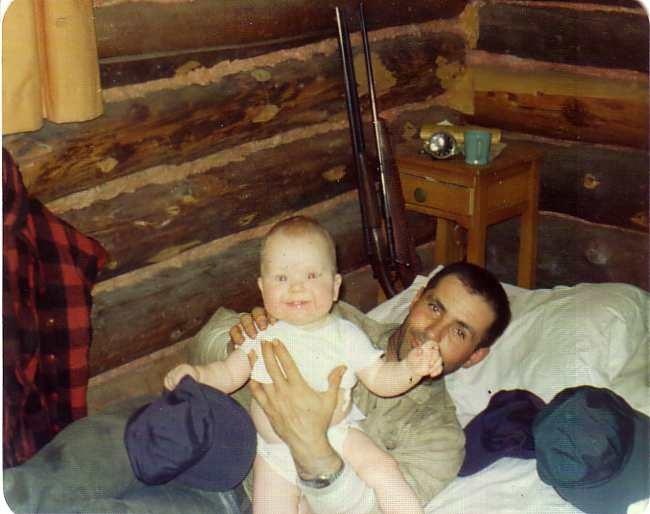 the baby pictured in the bottom right is Alvin and his daughter, Cady. The girl in the water color of Rie Munoz is also Cady, in her twelfth year. She is not only a gold miners daughter, she is the great grand daughter of the Lucky Swede, Charlie Anderson. Charlie’s Swedish wife had copper hued hair, which none of her children inherited. However, interestingly, Tom Wetzel is also the grand son of the Lucky Swede and Tom, who was 6’8″, inherited his grandmother’s rather glorious copper colored hair. Cady also shows reddish highlights. 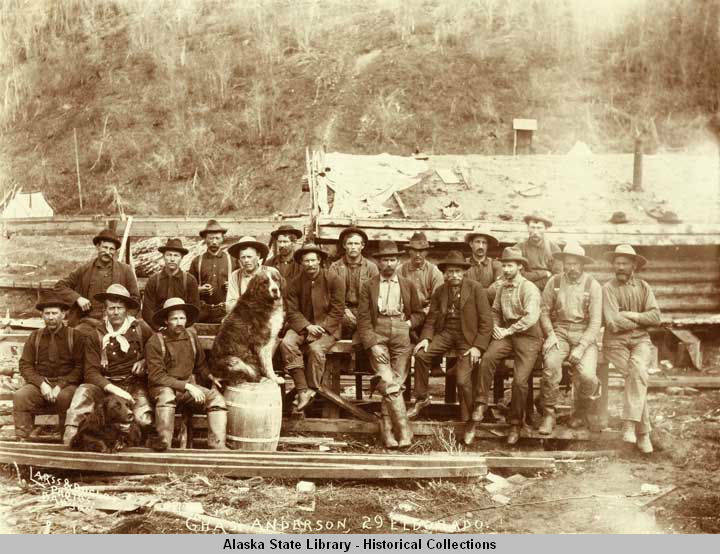 Take special note of the man with the white hat, sitting with the large dog in front of him. This is the Lucky Swede, as found in the Alaska Histrical library, located in Juneau. Rather mysteriously, I think, this is the only surviving public photo of the Lucky Swede from the klondike. Actually the “girl” in the painting is a combination of both Agoff girls.